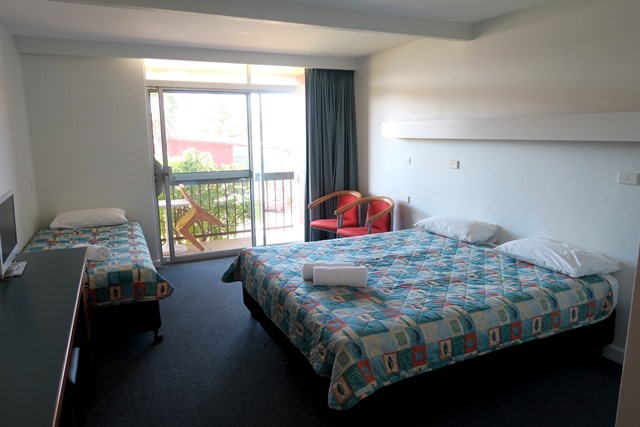 We have accommodation at the HOTEL and the adjoining MOTEL. *Prices change depending on dates/season/number of guests. No meals included. Accommodates 1 - 2 persons. Priced from $180-/$210- per night. accommodates up to 5 persons. Priced from $100/$130 per night. QUEEN Rooms: One bedroom for 1 - 3 persons. Priced from $100 per night. FAMILY Room: Two bedrooms for 3 - 5 persons. Priced from $130 per night. 50% deposit payable when making booking. Final balance due two weeks prior to arrival. Cancellation within one week of arrival - 100% of tariff non-refundable. Cancellation within two weeks of arrival - 50% of tariff non-refundable. Cancellation more than two weeks prior to arrival - $50 fee per room. A fee of $50 per room, per amendment will apply to bookings altered after the deposit has been paid.